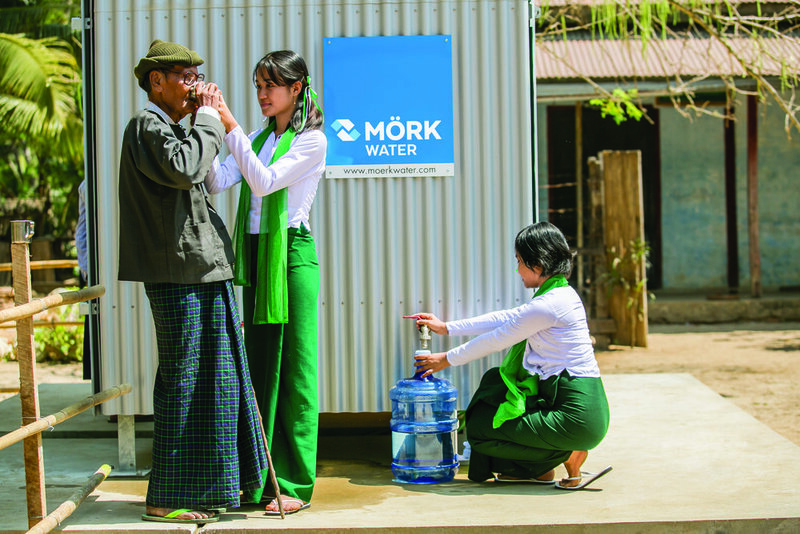 Moerk Water Solutions delivers potable and agricultural water to remote communities and areas through decentralised, robust and sustainable water treatment technology powered by renewable energy. Moerk Water Solutions are designed to meet your immediate and long-term water needs. Our technology treats a range of water types, including sea water, brackish water and contaminated water into safe drinking water to meet World Heath Organisation water quality standards. Our simplified technology is easy to operate and maintain. We provide education on operation and maintenance of our technology and deliver technical support to ensure a dependable source of water. Moerk Water’s holistic solution creates local jobs, promotes local business development and works to strengthen and equip local communities. Moerk Water is based in O’Conner in Western Australia and operates nationally and in the Asia-Pacific Region. Moerk Water is leading the way in delivering solar powered reverse osmosis solutions to Australian farmers, with another project opening in Watson Farm in Western Australia's Wheatbelt and having received outstanding feedback for our efficient services. Visit our stall at the Dowerin agricultural machinery expo, located in the Central Wheatbelt of Western Australia. Visit our stall at the International Water Association conference on Small Water and Wastewater Systems 2019 at Murdoch University. Dealing with the high water table and salty groundwater commonly found on islands in the Asia-Pacific Region, makes it a challenge to source fresh drinking water. Our solar powered reverse osmosis technology and water purification systems can instantly convert salty water into fresh drinking water without additional costs. Our solar powered reverse osmosis technology can clean groundwater of impurities, cutting farming costs and relieving pressure on shared resources in remote regional areas. And yet, the World Health Organisation estimates that 2.1 billion people still lack access to safely managed drinking water services. Water is at the core of sustainable development and is critical for socio-economic development and for human survival itself. It is vital for reducing disease and improving the health, welfare and productivity of populations, however remote communities often lack safe water access. For Pacific Islands and regional Australia, water wells and aquifers are becoming increasingly saline and brackish as a result of climate change induced sea level rise and reduced rainfall. Moerk Water provides a solution to adapting to climate change, by converting saline water into fresh water, whilst remaining carbon neutral.